The Congress decided to field its nominee as the joint opposition candidate after the other parties in the opposition bloc chose not to nominate their members. 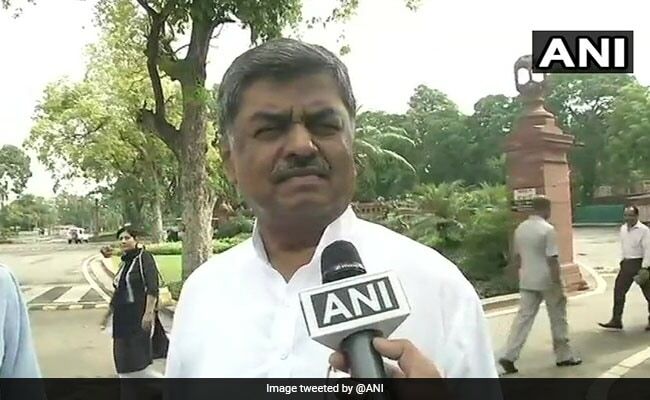 Congress lawmaker BK Hariprasad will be the opposition's candidate for the post of Rajya Sabha deputy chairperson, sources said today. Several opposition parties, who have joined hands against the BJP, decided to field a joint candidate to take on the NDA nominee, Harivansh Narayan Singh of the Janata Dal (United), for the August 9 election. BK Hariprasad, 64, is a Congress member of Rajya Sabha from Karnataka. Reacting to the news, Mr Hariprasad told news agency ANI, "The party (Congress) must have taken this decision after a lot of thinking. We will talk to all the opposition leaders and discuss what is to be done." Opposition parties that were uneasy with a Congress candidate for Rajya Sabha deputy chairperson election, have decided to end their differences and back the candidate, sources said, putting the anti-BJP front back on track. BJP-ally Akali Dal too confirmed today that they will be supporting the government's candidate for the election tomorrow.